Nokia N8 bringing class to mass- Nokia N8 Vs iPhone 4G? For me technology designs two kind of products; for mass or for class and the actual growth of the society comes with a proper balance of these two. Unfortunately, in recent past, we seen the balance going much of disarray kind of. Apple iPhone 3G not less than 30k, Nokia N900, probably around 34k and similar were the case with HD Mini or others. Many questioned from my circle over the price and I guess many others also might be wishing to voice their concerns. A price over Rs. 30, 000/- for smart phones? I mean however advance they might be, whatever the technology might have topped, but its a phone man!!! You could get a Netbook in the same price easily with bigger screen, then why spending this much over a phone only? I dreamed for not only better equipped but a better priced smart phone. Yes! technology is good, the convenience it brings is good, understand that what it takes to bring the same in hands of people, but still it needs to reasonable and affordable to call it “buying a phone”. Were people thinking to buy computers, when they were of house like sizes and prices like even businesses can’t afford? Were ACs made their places in every third home before prices went low? There was a race between Smart phones not only about features and bigger processors, but about prices as well like who can place a more higher priced phone than other. It really seemed to have lost focus about actual buyers. Being the biggest cell phone manufacturer in the world, it was sure a call for Nokia first and I am glad that they finally took it. Nokia seems to all set for bringing class to mass (C3, C6, E5 and now N8). Two leaked flagship phones, the lost Apple iPhone 4G prototype and then mysteriously leaked Nokia N8 prototype and it was clear that Market is all set to see another battle even before a MeeGo device could actually arrive (only that should have been actually compared with an iPhone for real). Nokia kept it reputation of being a company for community and made the official announcement for the next Camera Flagship for whole industry, Nokia N8 (probably there was no option left). 1. Connectivity: When it comes to connectivity, then on papers, it seems to be a tie as most of the advance connectivity options seems to have became a standard now (except HDMI port in Nokia N8). What seems new to Apple’s iPhone 4G is introduction of Micro-SIM in place of standard SIM (it was already there in Apple’s iPad). Still its not clear that what it might be offering in terms of functioning, but as the manufacturing company ETSI (European Telecommunications Standards Institute) has been offering increased control and security features in its chips, many might be expecting that in place of being some ground breaking technology for connectivity, its more about the compactness, control and security. Apple! why cant you be open? I don’t think that Apple would have thought about providing HDMI port (till now at least), definitely it would be a selling point for Nokia and more convenience for users. 2. A-GPS: I tried, but still unable to find that if Nokia N8 is going to sport Digital Compass built-in, most probably, it will not. Here we find Apple better as iPhone 4G has no reasons to go below than 3G version. Digital Compass technology might be a little tough or costly to implement, but people who have used it, know that its a blessing. Apple get marks over this one, but still Apple’s GPS software doesn’t matches Nokia’s and Google not ready to give voice guided navigation to iPhone. Yes! Apple’s attempt to improve its own map software seems to be right step in the road ahead. But still I didn’t seen anyone enjoying navigation over iPhone that much, as we see people with even cheaper Nokia sets. 3. Display: Nokia is bringing 3.5” multi-touch capacitive screen in a flagship model finally (I don’t call the others as flagship ones). While its a matter of excitement, but its true that like in case of GPS, Nokia’s experience win, with multi-touch and capacitive screen, iPhone OS4 and its apps are expected to win the battle. More of it, Apple completely dominates due to fact that its expected to sport a much higher resolution than we ever might had seen. Higher resolution does wonder that we had already seen with Nokia N900, even then I could understand Nokia’s concern of keeping price low. Probably that became the reason for lower resolution, but still I will say Kudos to Nokia!!! I am with you. 4. Sound: Dolby surround sound!!! are we really talking about smart phones. Technology changes a lot and making many things affordable. Apple’s products always known for their sound quality and as both of them going to sport second microphone for noise cancellation, we are all set to move into dream world of music soon. Expecting it to be a tie. 5. Camera: Forget it Apple, you are not even going to get even proper mention in this segment. Nice if you added flash, nice if you added a better camera, but you can’t even dream to tally with a Camera like Nokia N8. 12 MP Camera with HD Recording and Xenon Flash!!! Are you insane? Any iPhone including 4G can’t even think of competing even my beloved Nokia N82, leave Nokia N8 aside. Not mentioning much about Camera as there is no fight at any level. Apple!! You need to move up till 7 generations at least to get par with Nokia N8’s Camera. 6. Processor: iPhone 3G supposed to have a 620 MHz processor under the hood and iPhone 4G probably coming with a Dual Core processor. People are wondering if the same would have 1GHz or more. A lot of expectations are here with iPhone and same has to compete with 1GHz processor of Google’s one, Apple sure could not afford to go low. But still Nokia really making me smile by introducing Nokia N8 at this point, in place of introducing some big successor for Nokia N900. Its already been hard for Apple to sell their phones in Asian market and now …. Apple is on double axes. Definitely a better processor makes you capable of doing much more thing and providing developers a better platform to think more, but at the same point its about being reasonable as well. Nokia does an excellent job with Multi tasking all the time and Apple just seems to be introducing a mediocre multi tasking at this point. Why can’t you achieve that level of multi tasking that Nokia seems to have with even early 300 MHz processors? Many might have seen Nokia N82 running more than 60 apps at a time and they will sure be asking that what’s important? what you do or how you do? Definitely, Apple seems to have a better processor with iPhone 4G, but still it doesn’t seem that Apple will make use of the same for real things. Nokia has ruled with multi-tasking and I think Apple will take one more generation to understand that. 7. Memory support: 16GB eMMC mass memory + micro SD card slot (support up to 32GB memory cards), 135MB internal memory, 256 MB RAM and 512 MB ROM, Nokia seems not leaving a place for complaint. I am sure, Apple going to do better with RAM and Application memory, but still there seems to be no place for a memory card slot even now. Being a close technology didn’t served better in past, still Apple seems to chose being worse than Microsoft. Apple!! definitely, till you don’t reconsider this, you will be loosing points. Include MicroSD Card support please. Nokia rules in this department like always. By the way, why I am missing USB-on-the-Go? You can completely travel without PC and transfer files to open drives or external hard disks. I have to see the maximum support though, may be I will be able to connect with my 1TB External USB HDD and watch any movie while travelling. 8: iPhone OS4 Vs Symbian^3: There has been big talks around iPhone OS, a number of developers are running after their lives for designing apps day and night for “The most advance mobile OS of planet”. Still openness of Android and Maemo shown the way that what could a more flexible and attractive platform for mass rather than serving profit needs of some company. It nothing like I hate iPhone OS, in fact, I love the innovations it does and understand the Enthusiasm with which developer die for it, but still I hope much more from a Symbian. Only obstacles in Nokia’s way ahead is obsession with backward compatibility. The same probably been biggest reason behind Windows Vista under the hood and fear is if the same happening with Symbian. Sometimes complete overhauling may be required than sticking with older rules only (We have seen in case of Maemo), issue is that overhauling should not be half baked like Nokia N900 missed Ovi Maps and Ovi Store miserably. A MeeGo would be more suiting to stand in league of Android or iPhone OS, but still I believe Symbian^3 will stand tall even if doesn’t win against iPhone OS4. 9. Openness and Easy updates: I loved the way Nokia releases firmware updates for their smart phones ‘frequently’. Yes!! they are not that frequent like Microsoft does or like Maemo started doing, but still having free updates over the air is something so amazing for me and others out there for the convenience it brings to users. Apple!!! people hate you for creating the term “Paid updates”. Nokia will be beloved for the same always as I don’t seem that Apple will bow down to remove its arrogance. 10. Battery Life: Nokia N8 going to sport a lesser battery (1200 mAh) than Apple, but its replaceable. Definitely Apple and Nokia get their advantages in terms for that. I wonder if Nokia could produce a separate more power battery on additional cost. Why can’t the same device had two different kind of batteries in same shape? Would be a more flexible option for people asking for more. Update: After observing Q&A session of Nokia, feeling a little disappointed to know the fact that for keeping the slim looks, Nokia did the biggest compromise ever, Integrated battery with the device that could not be replaced by users themselves. Not happy with this fact at least. Not able to digest as it was deal breaker to many. Nokia goes Apple way in this case. Man!! probably not all people are rich to afford phones like that. Steave thinks everyone rich that’s why Apple sells 1/13 phones than Nokia but makes more ‘profit’ than that. Hello Nitishkumar Sir, Can u help me ? I want to buy a cell phone. Nokia N 8 or Apple 4 G. Will u pl. tell me which one is best. I am waiting for your favourable answer. Thanks Sir. 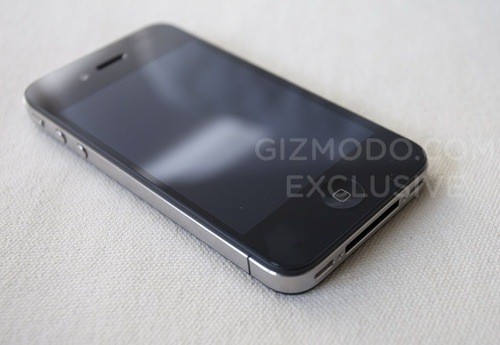 iphone 4g or for that matter any iphone is/was center of attraction cos of the (founder of)multitouch. now with retina display and other goodies like 5mp flash camera apple is trying hard to stay in the competition. Nokia on the other hand, with mighty impressive N8 the flagship is back on. or lets say GAME ON. costing preety less than iphone, with gorilla scratch resistant clear black display, 16gb internal+32gb external(upto).,monster 12mp Carl zeiss optics with xenon flash!, full HD connectivity, free satnav..no way any APPLE is gonna come in the way of N8..! IN THE END ITS A PERSONAL PERSPECTIVE! ENJOY. I agree wid u dat n8’s camera’s way better dan iphone 4..bt still..if i just ask u..dat price is not problem for me..i just want d best fone..so..wat’l u advice me 2 buy..n8 or iphone4 or sum odre fone..? ?